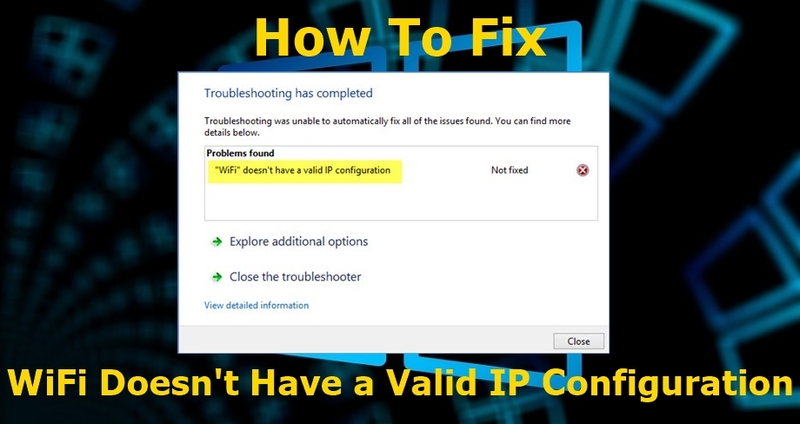 There are numerous reasons why Windows was unable to fix your internet connection issues, which means you have to resolve the problem manually. Luckily, you might not have to use all the following methods. Just start at the top of this list and gradually go down till you resolve your WiFi connection problem. Most WiFi issues can be fixed with a simple router reset. • Once you turn the router on, you can also turn on WiFi on your device to reconnect to the network. If the network adapter reset didn’t resolve your connection problem, you could try resetting the computer’s IP address. The following method will help you to clear out the DNS cache and remove corrupt files that may be causing your WiFi connection limitations. Some third-party apps that you install on your computer could also behind you’re your WiFi issues. For instance, the Bonjour Service app which is bundled with software like iTunes can often cause some internet connectivity issues. You can block it from accessing the Windows 10 Firewall. Likewise, you can also uninstall the anti-virus software to check if it will help to solve the connectivity error. If it does, then you must consider using an alternative antivirus product.